On Friday, March 29, 2019, Mr. Edward E. Skinner passed away peacefully at the Wainwright Health Centre, Wainwright, Alberta at the age of 59 years. Edward is loved and remembered by his wife, Darlene Skinner of Chauvin, AB; daughters, Barbara (John) Smith of Wainwright, AB, Jenna (Mike) Clarke of Red Deer, AB; grandchildren, Abby & Hazel Smith, Brooklynn & Brayden Clarke; mother, Dorothy Skinner of Chauvin, AB; father and mother in- law, Jack & Dorothy Blouin of Camrose, AB; sisters, May Morin and Cue (Lawrence) Regier; sisters in-law, Doreen (Garnet) Gramlich, Donna (Ron) Gramlich; as well as numerous nieces, nephews, extended family and friends. He is predeceased by his father, Edward Skinner. 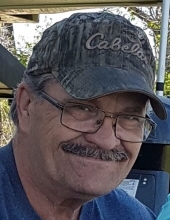 A funeral service for the late Mr. Ed Skinner will be conducted Friday, April 5, 2019 at the Repsol Community Centre, Chauvin, AB at 2:00 p.m.
A private family interment to follow at Long Lake Cemetery, Senlac, SK. If friends so desire, memorial contributions may be made to the Alberta Cancer Foundation. "Email Address" would like to share the life celebration of Edward Evertt Skinner. Click on the "link" to go to share a favorite memory or leave a condolence message for the family.